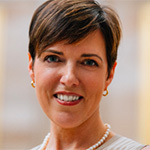 Antonia Ferrier, a top aide to Senate Majority Leader Mitch McConnell, has shifted to Definers Public Affairs as partner. The 14-year Capitol Hill veteran told Politico she shifted to Definers because she wanted to get out of her comfort zone. She praised McConnell for passing tax reform, approving judges and pushing for regulatory reforms. Ferrier also was staff director at the Senate Republican Communications Center and worked for Sens. Roy Blunt (MO), Olympia Snowe (ME) and Bill Frist (TN). Matt Rhoades, campaign manager for Romney-Ryan 2012, and Joe Pounder, research director for the Republican National Committee, launched Definers in 2015. The shop made national headlines last month following a New York Times report about its opposition research for Facebook, which is now a former client.